John R Heise is a graduate of New Hampshire College where he was awarded a degree of Bachelors of Science in Accounting. Upon completion of undergraduate studies Mr. Heise then focused his efforts on post graduate studies with the American College where he earned the prestigious designation of Chartered Financial Consultant as well as Chartered Life Underwriter. In addition to the fore mentioned designations Mr. Heise has been awarded the CLTC designation in the area of Long Term Care from The Corporation for Long Term Care and Mr. Heise is a Certified Financial Planner™ practitioner after passing the rigorous 2 day, 10 hour certification exam. Lastly, in a quest for greater fiduciary knowledge in the field of Retirement Plan Service, Mr. Heise has been awarded the designation of Accredited Investment Fiduciary. Mr. Heise had begun his career with New York Life in 1997 before creating his own firm Atlas Financial Group, LLC in 2000. To further represent clients in an independent, conflict free, fiduciarily sound manner, Mr. Heise has chosen to align with one of the nations most respected, Independent, Broker/Dealer firms, Cambridge Investment Research, Inc. 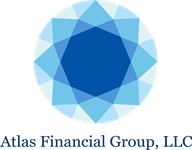 In this regard, Atlas, Financial Group and Mr. Heise represent many organizations, small and large, with their employer sponsored retirement plans. A member of Retirement Plan Advisory Group (RPAG) Mr. Heise is part of an elite group of fiduciary minded advisors. RPAG members represent over 25,000 retirement plans encompassing over $150 billion in collective investment assets. In addition to employer sponsored retirement plans, a major focus of Mr. Heise’s practice is in the concentration of Comprehensive Financial Planning which encompasses Wealth Management, Tax Strategies, Risk Management, Estate Planning, Education Planning, Business & Executive Planning, and Retirement Planning to name a few. Mr. Heise resides in Bow, New Hampshire with his lovely wife Christine, daughter Morgan, and son Carter. 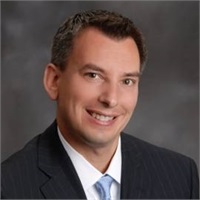 He is a member of the Financial Planning Association, past president Laconia Rotary Club and enjoys traveling, boating, and spending time with family and friends on Lake Winnipesaukee.